In Kobas, you can create a range of different promotions and discounts to offer great value deals to your customers. 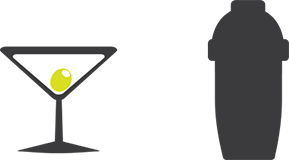 Visit EPoS > Discount Manager to set up and manage promotions and discounts for all your venues. Promotions are discounts applied to the individual items on an order. For example ‘20% Off Coffee’. In contrast, Discounts are applied to the entire order, for example ‘£5 Off Your Bill’. This will be applied to all qualifying items on an order/tab. This is the only promotion that will be applied to the prices of Post Item Selection Configuration items. When selecting this discount, you have the option to choose “All items must be the same.” If this is checked, all the items must be exactly the same; if it is not checked, customers may choose any combination of the eligible items that qualify for the offer. On choosing this discount, you can again choose the All Items Must Be the Same option. When it’s checked the item(s) a customer purchases must be the same as the one you get free, when it’s not, customers can choose any eligible items and will get the cheapest one(s) free. Use this when you want to offer a number of items, each from distinct groups, for a set price, eg “A Starter, Main and Pudding for £10” or “A Coffee and A Pastry for £4”. The customer must buy one item from each group to qualify. Items to be included in any promotion can be selected individually or by category, in any combination. Check this box if you want your promotion to be applied to eligible items across separate orders within a tab. If you’re offering BOGOF on cocktails, you probably want to insist that both the cocktails are ordered at the same time, so you wouldn’t check this. However if you are offering a main course and a dessert for £10, you would probably want that promotion to be valid so that the main course and dessert can ordered at different times. Tick this check box if you want your EPoS to automatically apply your promotion as soon as all criteria is met. If Auto Apply isn’t checked, staff with the “Allow Order Discounting” permission must manually apply the discount in order for it to take effect. Loyalty Voucher locked promotions require a loyalty account to be identified, before a promotion can be applied. To do this, customers can use a their loyalty card, QR code, or any RFID card they have associated with their account. This is especially useful if you want to offer promotions based on customers accruing loyalty points. Once this option has been checked, you can select a number of weeks after which the voucher will expire. This time starts from the moment the voucher is assigned to the customer. Discounts are applied to the entire order (eg “20% Off Your Bill”). Promotions, however, are applied to the individual items on an order. For example buy one cocktail and get one half price. Use this when you want to discount the whole bill by a specified percentage, eg “10% Off Everything for Friends and Family”. A fixed discount is an amount of money off the total order value. These are best to think of as behaving like a voucher – a “£__ off” that can be generically applied regardless of what is being purchased. Discount (tax exempt) – This is when you are giving money off as a reward, apology, or special offer. In this instance, tax is not charged on the discounted amount as the discount is essentially reducing the amount of money that is received for the item sold. Gift Vouchers (taxable) – This is used to allow redemption of pre-paid payment methods on your till. In this instance, tax should not be charged when the voucher is sold, but will be applied to the full transaction value at the time of redemption. This is because the total amount of money received ultimately covers the full cost of the item purchased. More information about UK voucher VAT law. 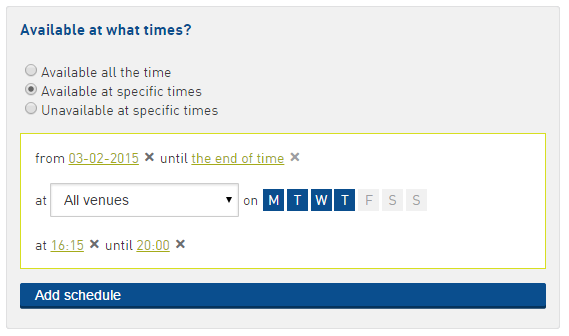 You also have the option to define a specific time-frame in which a promotion or discount will be available. This can be by date range, day of the week, and/or by time or day. For example, you can set an offer to be only available on Tuesdays and Wednesdays, between 6-8pm, between the 1st and 30th of April. You can also choose to exclude a time-frame in the same way, so your discount would not be available during the specified times. Note: Once you are no longer using a discount make sure to remove it from your menu as an option. This can be done two ways: firstly, you can delete it by going to EPoS > Discount Manager and clicking the trash icon beside the discount; secondly, you can remove the discount from the menu whilst keeping it in Cloud by going to EPoS > Discount Manager and clicking edit beside the relevant discount, and then un-checking the tickbox beside any menus that are currently checked. For promotions, with the exception of “percentage off certain items,” any post item selection configuration choices that carry and extra cost, will be charged as such. For discounts however, the money off will be applied to the price of any post item configuration options.